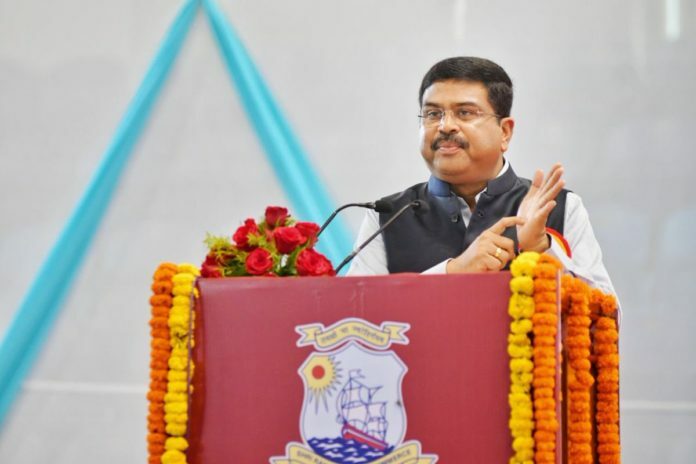 ‏New Delhi: Union Minister of Petroleum and Natural Gas; Skill Development and Entrepreneurship Dharmendra Pradhan attended the 92nd Annual Day Celebrations of the prestigious Shri Ram College of Commerce. Minister Pradhan said Skill contributes a major role in a person’s achievement & growth in life. While we have progressed in stimulating our mind, we have forgotten to instill values in the heart & providing skills for the hand. “Recognizing the need to provide state of the art technological skills to our youth, our govt. has launched the #SkillIndia mission. Ministry of Skill Development and Entrepreneurship is working steadfastly on upgrading skill programs to keep pace with modern industry requirements,” said Minister Pradhan. He urged the students of SRCC to don the role of evangelists to spread awareness & inspire people around to secure formal skill education. Urged these bright minds to begin a transition in our society where equal dignity is attached to labours of hand as those attached to intellect. SRCC as an academic institution has played a pivotal role in imparting quality education in the field of commerce & economics.